Hey all! I don't know about you guys, but I can't really function in the mornings without caffeine. I can't function during the day generally without multiple cups of tea. Did you know though that caffeine can really help the skin, too? You may have heard of coffee scrubs before, but if not, then I'll explain the benefits as we discuss the product that I have to show you all today, the Hey Good Lookin Vanilla Body Scrub. 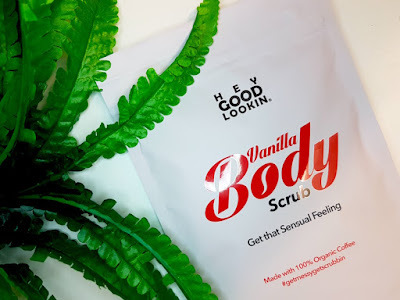 The Vanilla Body Scrub is a coffee scrub that is made up of 100% Organic Robusta Coffee, Shea Butter, Jojoba Oil, Vanilla Oil, Almond Oil, Himalayan Pink Blush Salt and Babassu Oil. It is suitable for use on both the body and the face. We will kick start though with the obvious question; why coffee? Well, the main reason is the caffeine content. When applied to the skin, caffeine is a rich source of antioxidants. It can help to reduce the appearance of both stretch marks and cellulite, it can help to reduce dark circles around the eyes as well as reduce puffiness and it can help to fight fine lines and wrinkles and other signs of premature ageing. In addition to the caffeine, coffee, when mixed with a blend of other skin benefitting ingredients, can help to exfoliate the skin, leaving it soft and nourished. Hey Good Lookin not only blend their coffee with a range of amazing ingredients that benefit the skin, but they also use Robusta Coffee which is double the caffeine strength of Arabica coffee. 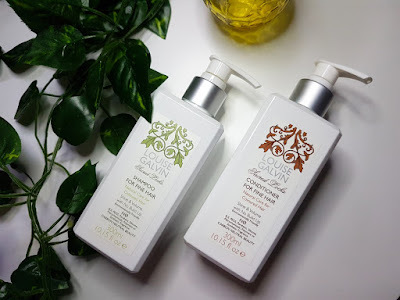 It is also 100% organic, meaning that there are no harsh chemicals used in their production and you get nothing but the good stuff for your skin. Shea Butter includes Vitamins A and F, working to help with skin conditions such as eczema, blemishes, dermatitis and wrinkles as well as protecting and rejuvenating dry, chapped skin respectively. Himalayan Pink Blush Salt helps to detoxify, soften and balance, making it great for oilier, blemish prone skin. Vitamin E, which is a skin hero that helps to reduce dark spots, fight the signs of ageing, cleanse and leave the skin looking radiant. Babassu Oil helps to fight acne, lock in moisture and heal damaged skin. Jojoba helps to protect skin and fight against breakouts as well as moisturise and regenerate the skin. Vanilla Extract Oil helps to fight the signs of ageing and protect from environmental skin damage. Sweet Almond Oil also helps to cleanse and is another source of Vitamin A. It is just full of goodness. All of this goodness is packaged in a white, re-sealable, recyclable pouch. So let's see how well it works. Hi all! If you follow me on Instagram then you may be aware that I recently went away to the Netherlands. Because of that, I thought now was probably the best time to review a product from a Dutch brand that was created by a world-class makeup artist, Ellis Faas. 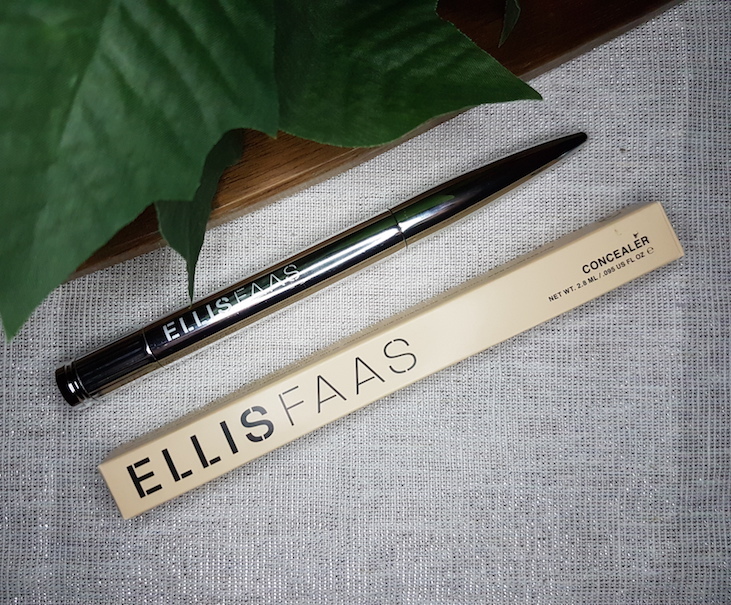 The Ellis Faas Concealer is a twist bottom, brush applicator, high-coverage liquid concealer pen. 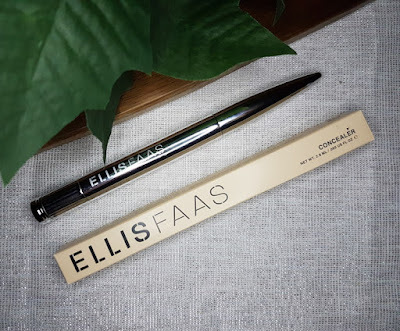 It promises a flawless finish, and additionally the Ellis Faas Concealer also includes a blend of Vitamins C & E, Rice Wax and Karite Oil to hydrate and nourish the skin whilst also protecting against free radical damage. It also helps to regenerate the skin and banish the signs of ageing. Ellis Faas only creates cruelty-free products that are “only tested on supermodels”, and they are PETA verified. It comes in a range of 8 shades ranging from porcelain to dark. The packaging is really sleek and looks almost bullet-like. It’s one of those products that look genuinely great sitting in your collection. It also fits in the Ellis Faas Holder which is designed to keep your Ellis Faas products nice and organised.